This dish is perfect as an appetizer for a summer party. Or a light lunch or dinner item paired with a large salad. Classic basil pesto is spiced with a bit of jalapeno and red pepper flakes and then added to roasted chicken. The chicken alone is fantastic (and delicious with steamed potatoes and spring peas), but for a twist on bruschetta, give this a try. I love the ease of this recipe. 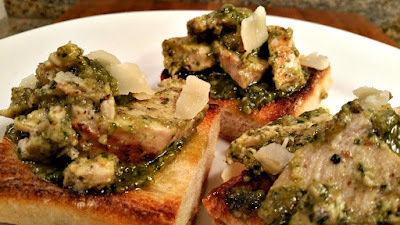 Shred the chicken, pile it on top of toasted bread, sprinkle Parmigiano-Reggiano over everything and serve. For the easiest ever preparation, cheat and use purchased pesto and a store-bought rotisserie chicken. 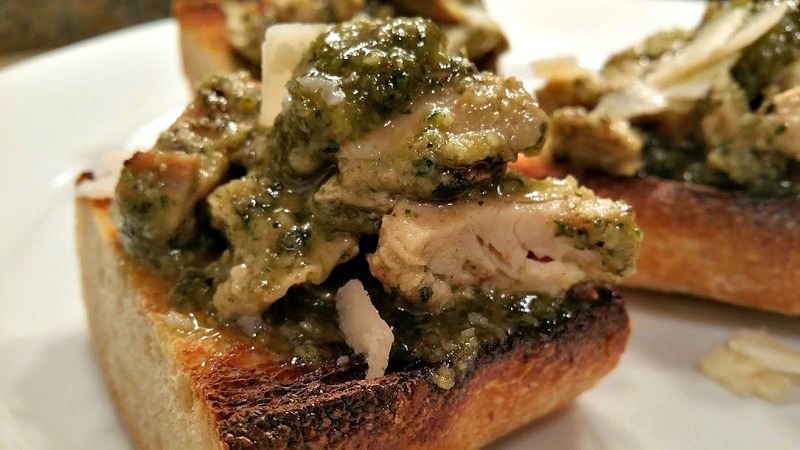 Cut up the chicken, stir in the pesto and follow the rest of the instructions. Sssh! No one will know... Enjoy! Add the chicken breasts to the pan and generously season with salt and pepper. Add the pesto to a small bowl. 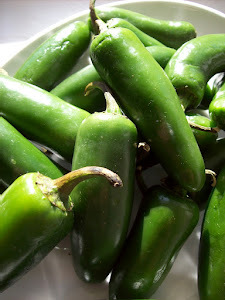 Stir in the jalapeno & red pepper flakes. Spread the1/2 cup of the prepared pesto evenly over the top of each chicken breast. Roast in oven 25-30 minutes or until chicken is cooked through. Remove from oven. Place chicken on cutting board and cut into small pieces. Add to medium sized bowl and scrape any pesto from the baking sheet into the chicken. Stir to combine. Slice the bread into serving pieces. Toast or broil until golden brown. Spread the remaining pesto over the toasted bread. 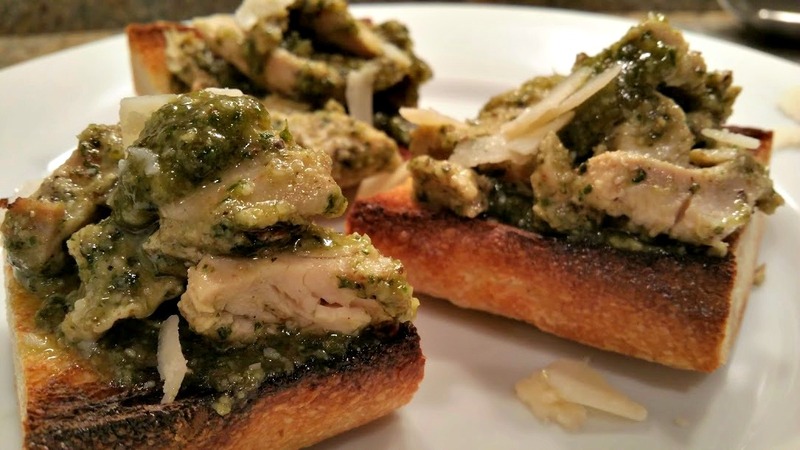 Mound the pesto chicken over the top of each slice of bread. Sprinkle Parmigiano-Reggiano over chicken and serve immediately. Summer means easy, breezy dishes made from fresh, just-picked produce and this week at Food Network's Summer Soiree we are celebrating Chicken. Do you have a favorite chicken recipe? 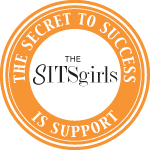 Share in the comments section and/or link to your blog if you have one. And be sure to check out the delicious sounding recipes from my blogger friends and Food Network.